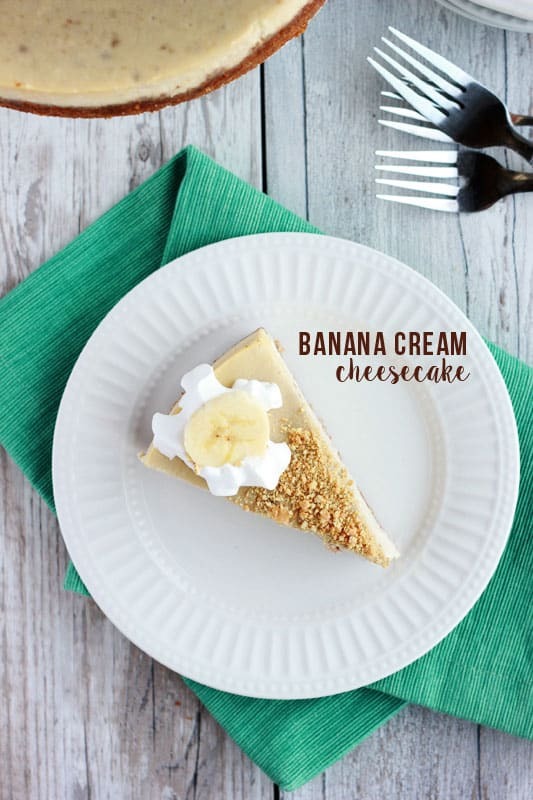 This Banana Cream Cheesecake is loaded with flavor. 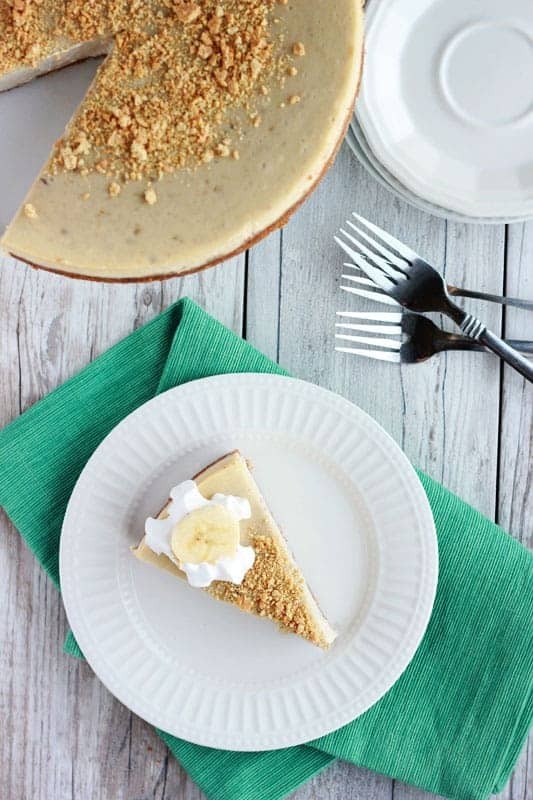 Made on a vanilla wafer crust with a creamy and rich cheesecake topping! It is the perfect twist on classic cheesecake. I made you guys a cheesecake. But not just ANY cheesecake. 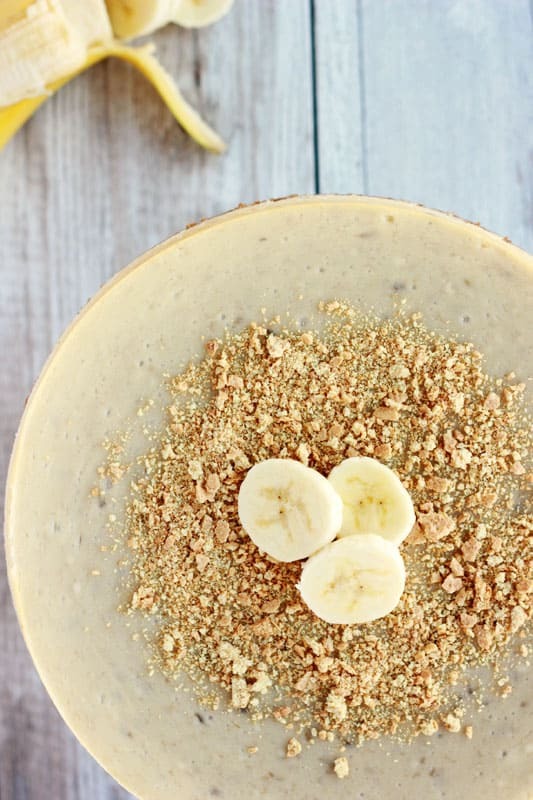 This version is made with over ripe bananas. 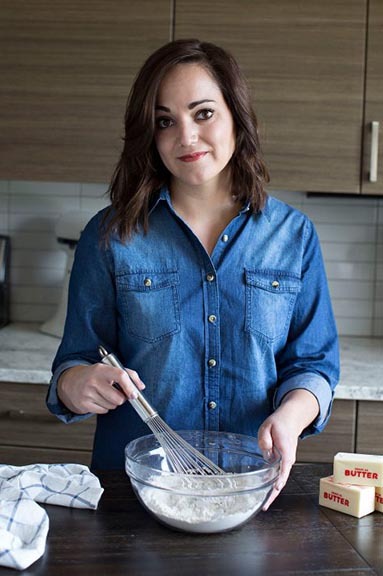 When paired with cream cheese, heavy cream, and a dash of cornstarch you have the most creamy and decadent dessert recipe. 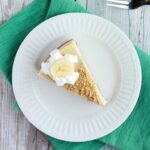 Originally inspired by the Banana Cream Pie Cheesecake at Cheesecake Factory – This dessert recipe is a winner! The crust… I was torn on if I should stick with the traditional graham cracker or break the mold and go with a vanilla wafers. I ultimately decided to use what I had on hand and out came the grahams. While it was delicious, next time I am going to give the wafers a try. I think they will give it a more traditional flavor profile to banana pudding, which is what I was really hoping to achieve. This takes a loooooong time to cook. Be prepared. It takes even longer to chill. You will have zero self control when it comes to stopping yourself after one slice. Always make sure you use room temperature ingredients. This is one of my top suggestions for almost any dessert recipe. Room temperature ingredients blend together with less mixing which is ideal for cheesecake. Use a spring form pan. This will help make sure you can easily remove your cheesecake and have a beautiful dessert! Prepare your cheesecake batter as directed. Pour into a spring form pan. Wrap the bottom of the pan with a double layer of foil making sure to go up the sides at least 3 inches but ideally to the top. Pour hot water into the roasting pan, around the cheesecake, until it reaches 2 inches. The biggest cause of cracks in a cheesecake is over mixing the batter. Mixing too much allows extra air to enter your cheesecake batter. This forces the cake to rise while baking. When it starts to cool it will lower slightly and crack the center of your cake. Try to be sure you do not mix too much. It also helps to run a knife around the edge of the pan as soon as it has finished cooking and before it cools. 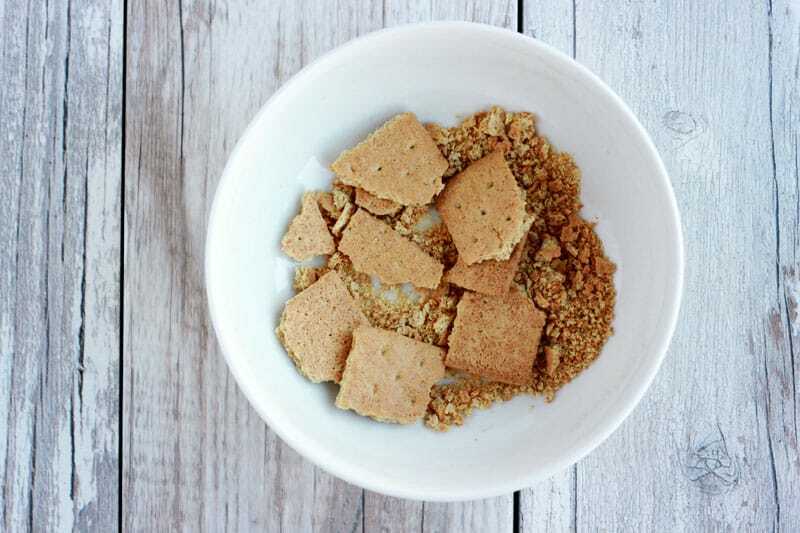 For the crust, mix together all of the ingredients until a crumble is formed. Press into a lightly greased 9" spring form pan. Bake at 375 degrees for 5-7 minutes or until fragrant. Add the cream cheese, granulated sugar, and corn starch in the bowl of an electric mixer. Beat until incorporated. Add the eggs one at a time. Stir in the bananas, cream, and vanilla until combined. Pour into your prepared crust. Bake at 350 degrees for 20 minutes. Reduce the temperature to 200 degrees and continue to cook 90 minutes or until the almost set. Allow to cool in the oven completely. Remove from the pan and chill 3-4 hours. Top with crumbled cookies or whipped cream. Everything sounds so good. Will have to try all of them LOL I am a diabetic but still do a fair amount of baking for others. While not removing pie. After 90 min or pie is done, turn off oven and let it stay in oven until cool. It doesn’t specify what kind of bananas to use. Should I use soft (What I use for Banana bread) or firm bananas? I have made it with both. We did like soft bananas a little better but both tasted great. Just made this and my question is how do I know when it is done? I messed up in my timing at 200 degree so I hope I cooked for the correct amount of time. Great question! There are a few different ways to test for doneness. 1- use an instant read thermometer. Read the temperature of the center of the cheesecake. If it reads 150 degrees your cheesecake is ready. 2- Gently shake the pan back and forth. If there is only a small jiggle in the center your cheesecake is done (2 inches or less).